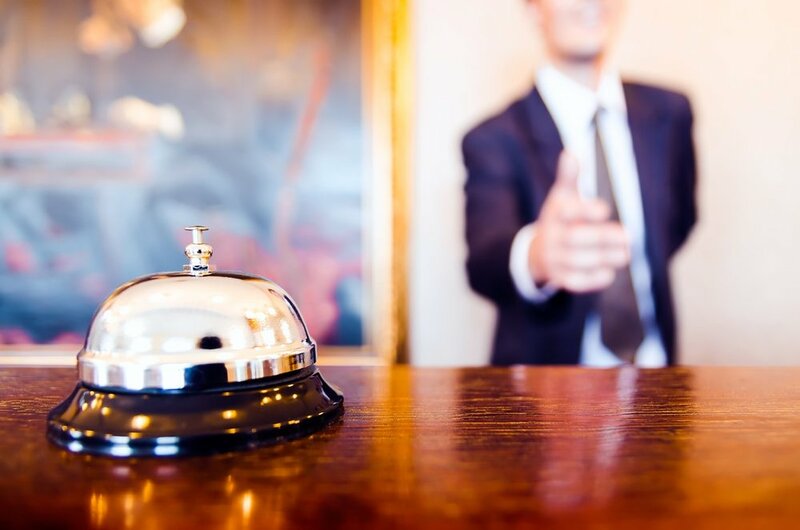 Hospitality employees can make or break the customer experience at your hotel. When it comes to renovating or building boutique and premiere hotels, the best owners and operators know they can’t limit themselves to décor. They understand that while the finest custom-designed carpets, wall coverings and furniture in the world are critical to delivering a unique guest experience, they can’t cover up the stain of poor customer service. Friendly, helpful staff that exceed customer expectations will keep guests coming back year after year. Disengaged, lackluster staff can undermine even the most magnificent designs. So if you are planning a new hotel or major renovation, we encourage you to consider whether you are truly empowering your employees to deliver a guest experience to match. Word-of-mouth marketing has always been important in the hospitality industry. In today’s world of instant communication, guests who share their experiences online can have a big impact on your hotel’s reputation. It is reported that 25 percent of customers will switch over to another brand after a single bad experience. What’s worse, a single unpleasant experience shared by one unhappy customer has the potential to be shared up to 357,000 times. Ouch! We’ve all seen the occasional bad customer service experience go viral. It’s no secret that consumers are posting and sharing their experiences with hotels online. Therefore, it’s important to provide a stellar service experience for your guests. Many hotels have done this by empowering staff to respond to certain common problems on the spot before handing them off to a supervisor. After all, do you really want your front desk associates asking an already frustrated guest to wait while they go fetch a manager? Many boutique and premium hotels authorize their front desk staff to offer discounts or vouchers for hotel food or beverages to guests after resolving their complaints to demonstrate how much they appreciate their business and patience. Rewarding complainers makes sense, the thinking goes, because they at least give you a chance to fix the problem. There are lots of examples of effective front-line employee empowerment in the hospitality industry. One of our favorites, Auberge Resorts, emphasizes the importance of engaged, empathetic employees who are motivated to resolve customer concerns. “The single most important thing throughout the guest experience has always about the interpersonal exchange, which will be defined by the quality, motivation, and inspiration of the employee,” CEO Craig Reid told Skift.com. Another great example of employee empowerment comes from The Ritz Carlton Leadership Center, a hospitality consulting group owned by the Ritz Carlton’s parent company, Marriot. On their blog, the RCLC says that, as a matter of policy, each employee at the Ritz Carlton is empowered to spend up to $2,000 to fix or improve a guest’s experience. Kokua Hospitality LLC trains front-line employees how to avoid asking questions until the guest has finished talking about their complaint, reports HotelNewsNow. The company uses role playing to teach listening skills and conflict resolution at all its hotels. Just as importantly, the hotel has striven to create a culture that encourages initiative and discourages second guessing, Gary Cox, an area general manager for Kokua, told HotelNewsNow. Beachwood Custom scours the world for be best custom furniture and finishes so boutique and premier hotels can offer the best quest experiences. Contact us today to see what we can do for your hotel property!